Children's Miracle Network Hospitals raise funds and awareness for 170 children's hospitals across North America. More than 10 million kids enter a Children's Miracle Network Hospital every year. To provide the best care for kids, children’s hospitals rely on donations and community support. Since 1983, Children’s Miracle Network Hospitals has helped fill those funding gaps by raising more than $5 billion, most of it $1 at a time. Our various fundraising partners and programs, like the Disney Princess Half Marathon Weekend, support our mission to save and improve the lives of as many local children as possible. Running with Children's Miracle Network Hospitals during the Disney Princess Half Marathon Weekend gives you exclusive benefits from the moment you register to moment you cross the finish line. 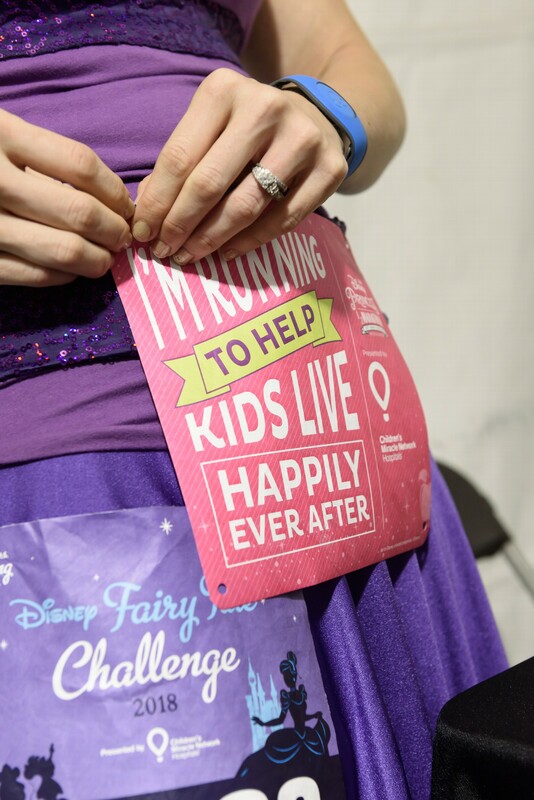 Race Entry: Guaranteed race entry to the event of your choosing: Disney Princess 5K, Disney Enchanted 10K, Disney Princess Half Marathon or the Fairy Tale Challenge. Staff Support: Dedicated CMN Hospitals staff to help with questions. Fundraising Support and Recognition: Personalized fundraising website, tips and ideas as well as NEW achievement badges you can unlock when milestones are hit throughout your fundraising journey. These badges will appear on your personal fundraising page for all to see when they are unlocked. Inspiration: Motivational stories about CMN Hospitals and the kids being helped at 170 children's hospitals across North America. Facebook Group: Access to our Miracle Makers on Facebook, an online community exclusively for our Miracle Makers. Goodies: CMN Hospitals tech shirt, lithograph and commemorative bib for all runners as well as the opportunity to earn incentives based on fundraising success. Miracle Morning: Special invitation for you and a guest to attend the “Miracle Morning” breakfast, hosted by CMN Hospitals. Travel Arrangement Support: Miracle Makers will have the opportunity to book Walt Disney World® Resort hotel(s) and discounted park tickets through a provided travel agent. More information will be available at registration. runDisney Benefits: Race benefits provided by runDisney to participants including an official race t-shirt and finisher’s medal. *For a full list of benefits, please visit the runDisney Princess Half Marathon Weekend website.